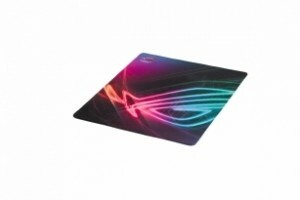 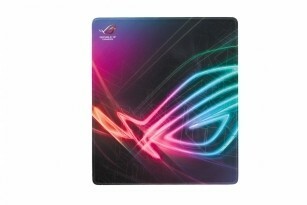 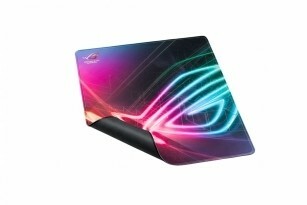 The ROG Strix Edge gaming mat designed for vertical use, the ROG Strix Edge is a versatile mouse mat that offers gamers a definite edge in any game scenario. The specially designed surface for the horizontal game mode gives your glide optimal friction and precise control of the mouse. 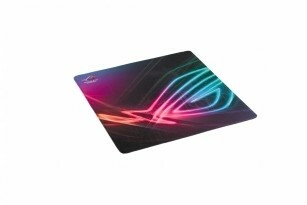 The ROG Strix Edge mouse pad measures 400 x 450 mm, Strix Edge offers enough space for mouse movements and its 2 mm thickness creates a light padding for added ergonomic comfort of the hands and wrists. The Strix Edge was designed with the latest non-slip (full color) seam technology to protect the mat from fraying. 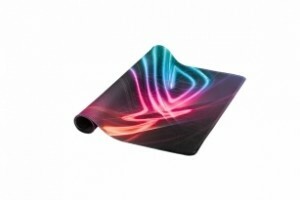 But beyond its careful design, the Strix Edge was created for mobile gamers, lightweight, thin, rollable and with a non-slip rubber base that firmly adheres to any surface, this is the ideal mouse pad for a use in the heart of LANs or elsewhere.